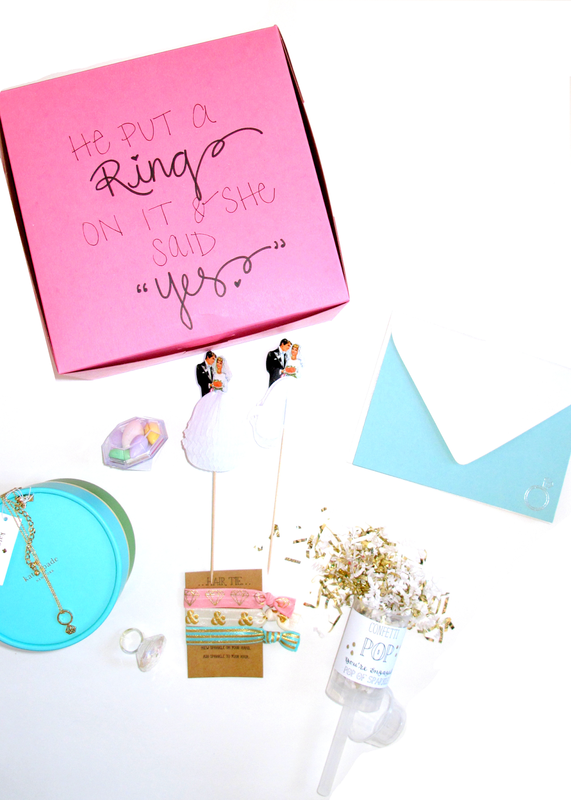 The Little Box of Character was first started back last summer when I was the Matron of Honor for my friend Megan (you can see her fab wedding in yesterday's post), so it's roots are in the wedding world! With that said, I wanted to share with you all ways to incorporate Love of Character into yours or someone else's special day. I wanted something that all the guests would love and that was a nice thank you to them for coming. Of course, it also needed a touch of party! With the snacks and Advil, they worked great and were useful. Plus the girls loved having something to pull their hair back with at the pool. Since the boxes add a pop of pink, they added to the decor of the room (love a two for one!). I am able to customize the box for your bachelorette party with colors used and you can pick the quote for the box to go with your theme. You can read more about the fun weekend here! 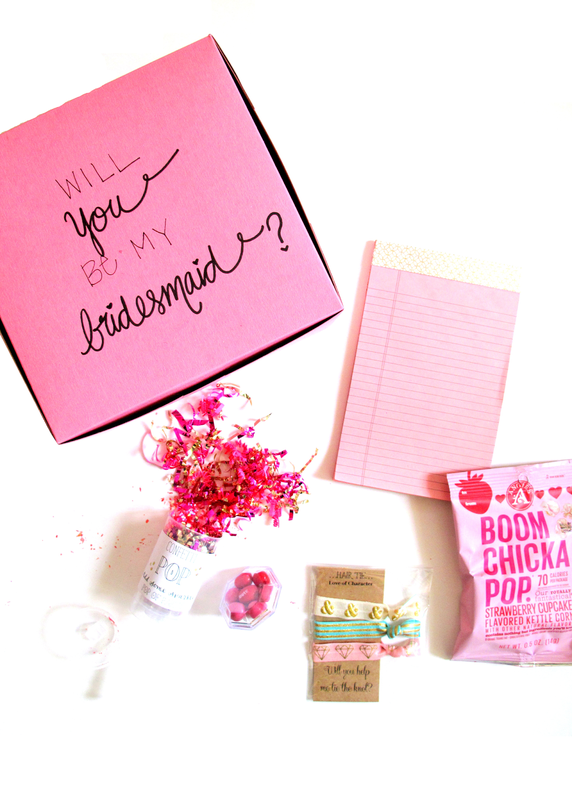 Asking your bridesmaids, flower girls, etc. to be in your wedding can be so fun! They're excited, you're excited and you want a cute way of showing it. Above is the standard Little Box of Wedding Party Character. You can also custom order them if you have specifics that you would like to have included in the box. These are great because they give you the adorable hair ties, a notepad, snacks and a confetti pop to show the excitement! They can also be customized with your colors. If you already have an idea for asking or need something small, you can purchase just the hair ties. They are a cute way of asking, plus girls love something useful like hair ties! Both of these options can also be used as wedding party "Thank You" gifts on your special day - just choose a different quote for the box. The Engaged series is a popular one at Love of Character! 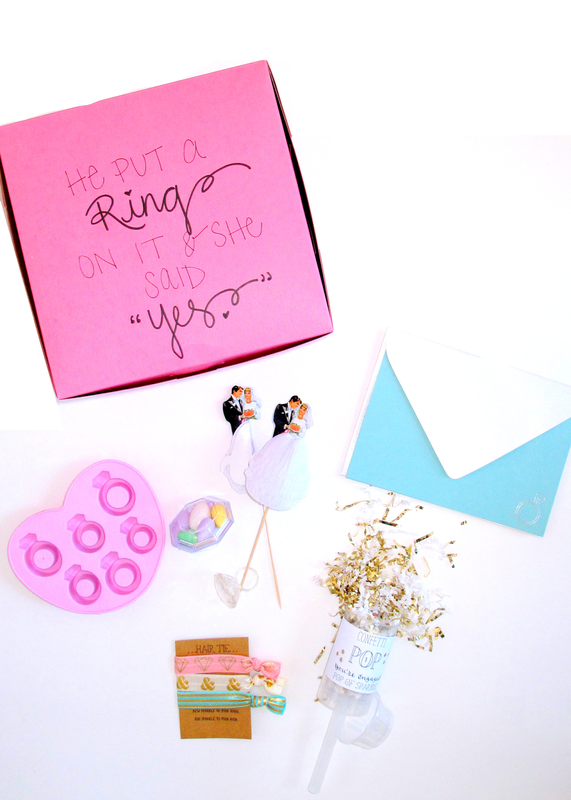 You want a fun way to celebrate a newly engaged friend or family member and these boxes and card do just that. All are great options, you just need to decide what best suits your bride-to-be. The necklace is a special edition and is perfect for someone you are very close with - Kate Spade has the best wedding jewelry! The sweater koozies are perfect when you also are wanting to give the groom a little something. They are hilarious on beer bottles! The ice cube tray is a fabulous girly gift. All about the bling and they are so fun for parties (especially bachelorette bashes!). They are fun after an engagement too because it's a fun girly shape. If you want to send just a small congrats, Make Thing Co.'s card paired with a pack of You're Tying the Knot! hair ties is perfect and under $10. You can add character to the wedding itself with a gorgeous hand covered wedding guest book. We also added a Custom Order option, so you can have more say in the colors and style of the book. My Aunt Mary made the guest book for our wedding and I loved it because it was different from the classic books, plus it was a pop of color. With the blank pages, people were able to write notes (which got more entertaining as the night went on). Second, you can purchase fun confetti pops for your wedding and/or for wedding showers, bachelorette parties and rehearsal dinners. There are the usual multicolored or white/gold options and we recently posted a custom party pop option - you can pick your colors and the saying. They would be fun for your wedding party to have and pop right as you walked out! All of the option above are available in the online shop: www.loveofcharacter.com and please feel free to contact us with any questions about customizing, quantities, etc. We would love to help add some character to any of your wedding events!